to make the world a better place for themselves, their families and the world. The Founders of the original Distributor Association were heroes and their legacies live on today in the IBOAI®†. In the IBOs brave enough to accept the challenge of owning their own Business and to set goals and put in the effort it takes to be successful and never give up! You arestrong advocates of a sustainable Business. In long-standing IBO Leaders, many who serve on the IBOAI®† Board, who warmly welcome people into this Business regardless of education or background. You continually blaze the path for future leaders to learn, grow and thrive! You are the role models who earn (and deserve!) the respect and admiration of all IBOs. 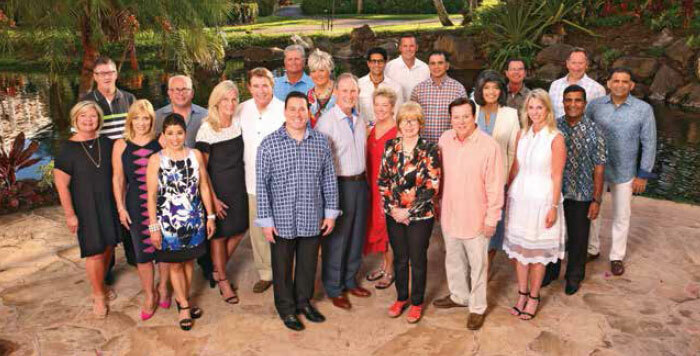 In IBO Leaders Fred & Bernice Hansen, Joe & Helyne Victor and Jere & Eileen Dutt – recognized as zealous crusaders by the IBOAI®†, the Field and the Corporation. Their work, their faith and their stories encourage and enlighten us. As Founders of the American Way Association (AWA), now the IBOAI®†, they introduced and acted as the voice of the Distributor network. They established the Association’s primary task in 1959 – to promote the interests and protect the rights of all Distributors. Almost 60 years later, your IBOAI®† sustains this mission and prospers as the fair representative and valued voice of all IBOs in North America – young and old, new and long-standing, regardless of education or background. By representing the Field and working closely with the Corporation, the IBOAI®† keeps the spirit and vision of the original AWA Founders alive. We look forward to paying tribute to their legacy – and the continued passion and persistence of all IBOs – during the upcoming Amway 60th Anniversary (A60). To learn more about the IBOAI®† Founders and the Association’s history, visit iboai.com. †IBOAI® is a registered trademark of Independent Business Owners Association International.